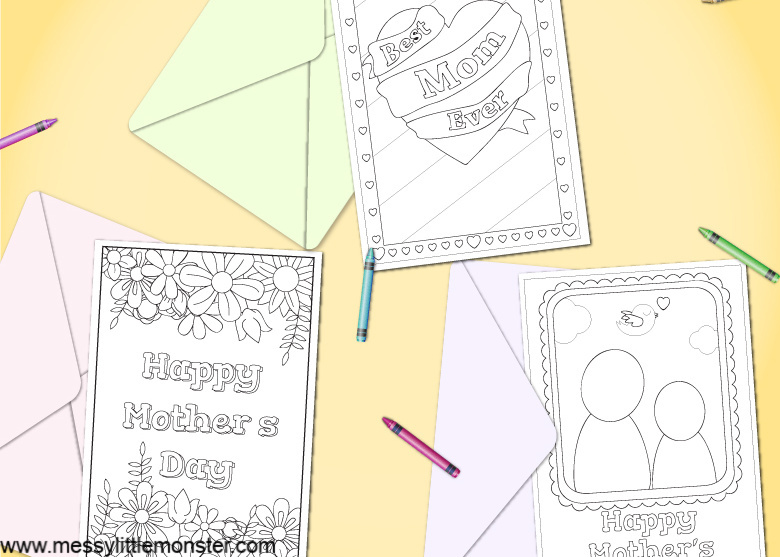 If you are looking for an easy Mother's Day craft for kids you are going to love these printable Mother's day cards to color. We have 3 different free printable Mother's Day cards that you can choose from, all you need to do is download, print and color! Just scroll down for your Mother's Day coloring sheets. We love printable cards to color and have a whole collection of them! Color your own cards are perfect if you need a last minute card for an occassion or you want a craft that is mess free and suitable for all ages. Take a look at our other printable color your own cards listed below. We also have lots of other fun Mother's Day crafts for kids. Whilst I love all 3 of these Mother's Day coloring sheets I ABSOLUTELY love the child and mother card to personalize. Children can have a lot of fun with this design making the smaller figure look like themselves and the larger figure like their mom. 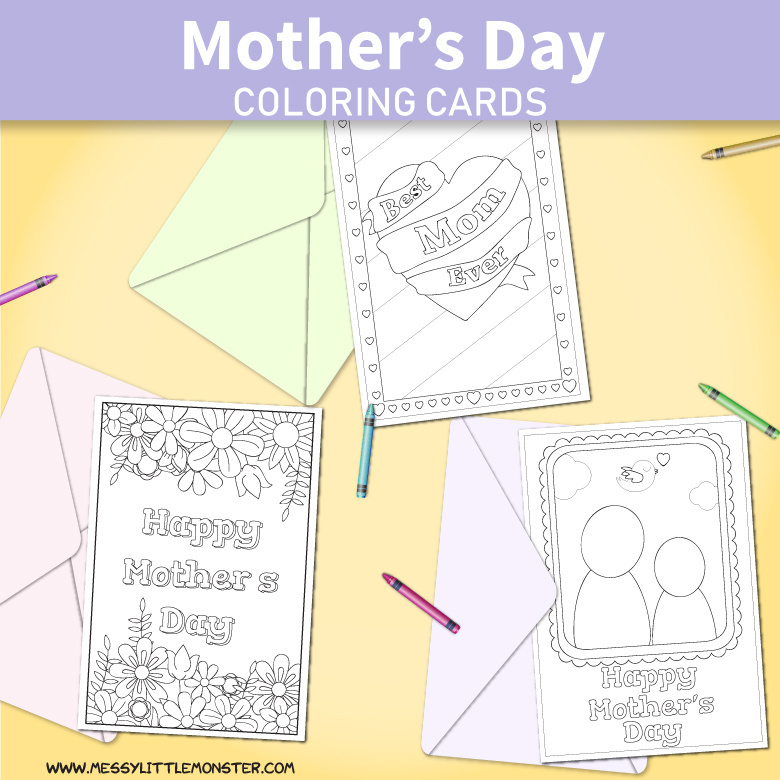 To download these Mother's Day coloring sheets for free use the button below and use the discount code- mothersdaycards. For personal or classroom use only. Not for redistribution. All images are copyrighted. Thank you. 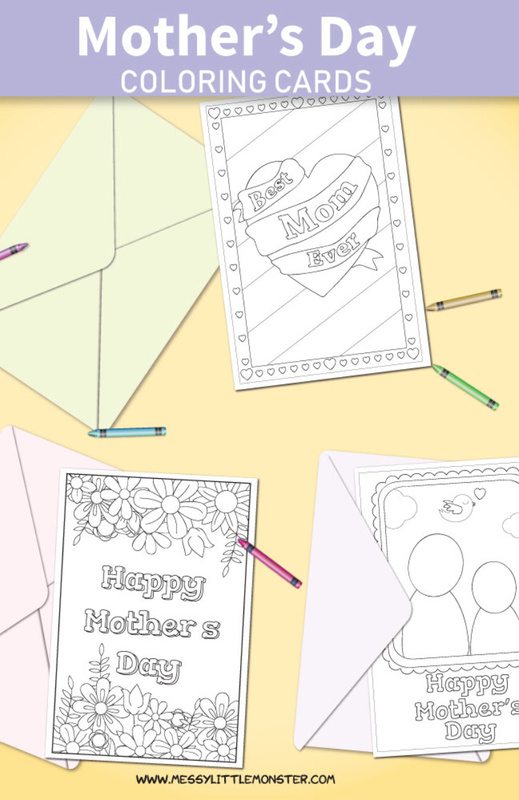 We hope that you enjoy using this set of free printable Mother's Day cards to color. We love this fun and easy Mother's Day craft for kids!